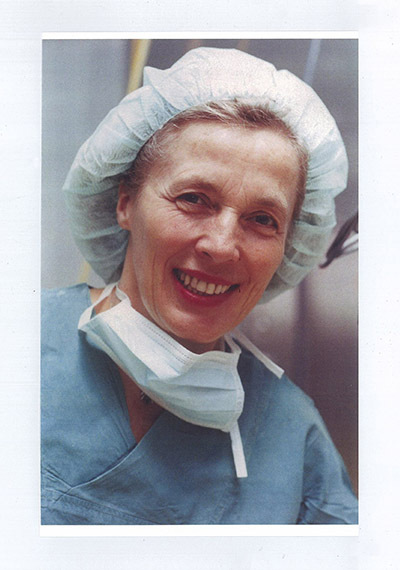 I have been the chairman of SLS, a medical society of over 6,000 minimally invasive surgeons, for 27 years but one of the most exciting developments in my career was to meet Dr. Lilo Mettler. We met in 1987 at the University of Miami Medical School, where I was teaching, and my wife Janis and I were thrilled at the opportunity. The world was not yet ready for her and Dr. Kurt Semm, both inventors of minimally invasive surgery, but Janis and I knew that meeting Semm and his “number two” would be a big deal. Their work shook up the world. No one else was doing it. I began to teach how the world benefited from its safety and efficacy. Indeed, we benefit from the invention of the brilliant instrumentation and techniques that are used to this today. Even now, Dr. Mettler continues to travel the world with her work and she even continues to swim, remembering her time as an Olympian, surely. Such an energetic, intelligent and hard working person deserves a great partner. As my wife and I got to know her, I hoped, after Lilo lost her first husband, that she would have a rewarding marriage, such as my own. What is more important than medical innovation? Not much, but the commitment and hard work that it takes to sustain a good marriage can certainly be critical to one’s happiness and quality of life. As Long Long Ago shows us, love is worth waiting for. When we met Elwin Law at our Euro American Summit, he was as dashing and dapper as any movie star, with intellect and southern charm. Janis recalls the handsome gentleman wearing a navy blue blazer with gold buttons walking into the Disney World Hotel to our board meeting dinner. But his character was equally, if not more impressive, for Elwin Law knows how to treat Lilo and vice versa: they give each other the freedom each needs—they are the couple who needs adventure as much as each other. It works. They may not be together all the time, but when they come together, they have a lot to share. Janis and I relate to their differences and their zest for life. We have our own interests and those things have taken us to places we never dreamed of. 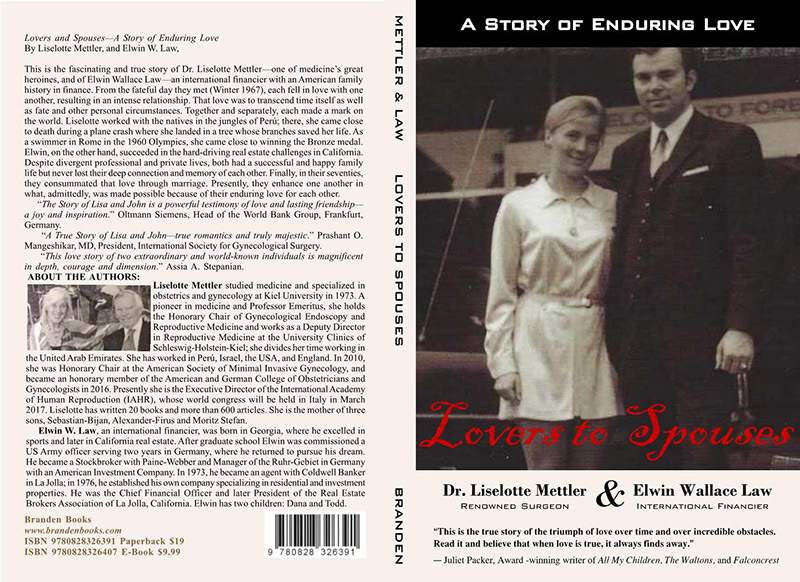 The world was not ready for Dr. Mettler early in life, but Elwin Law was, and he never forgot her. You’ll never forget her either. This book is about the great gift of a good life.